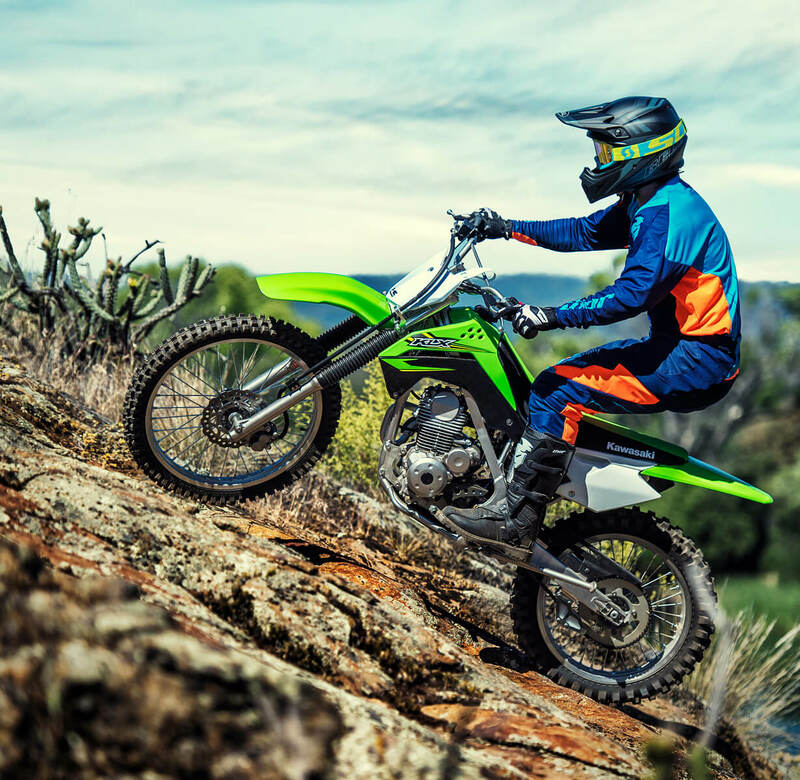 Designed for adults and big youths, the KLX140G combines a rigid KX-based perimeter frame with long-travel suspension and large-diameter wheels (21” front and 18” rear), and a simple, yet reliable air-cooled 144 cm3 single-cylinder engine into a perfect-sized package. 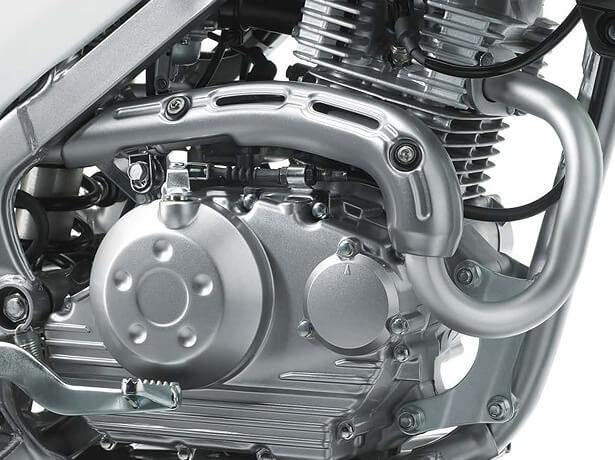 144 cm3 air-cooled engine The 4-stroke air-cooled single-cylinder engine offers a lightweight power plant that is both simple (to operate and to maintain) and reliable. 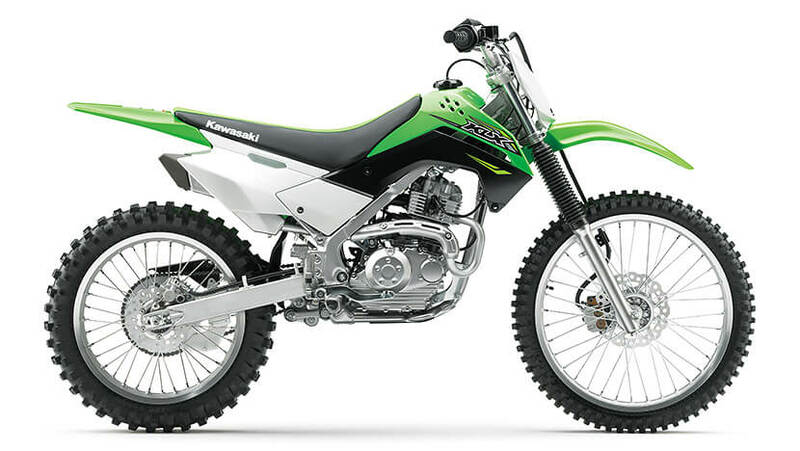 Delivering a pleasant exhaust note, the quiet-running muffler makes it easy to use the KLX for long periods of time. 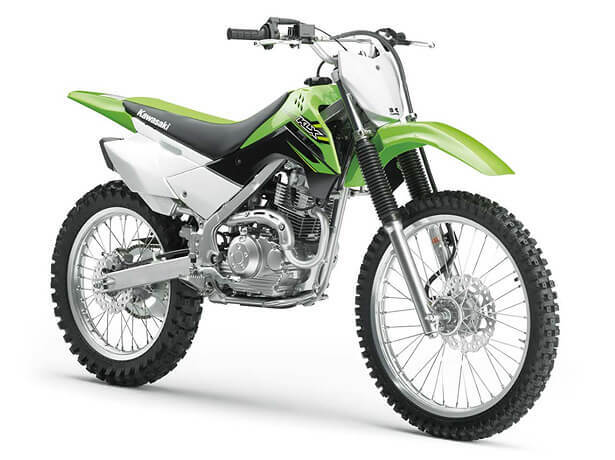 Muffler comes equipped with a spark arrester, meaning the KLX140G can access designated off-road public riding areas. 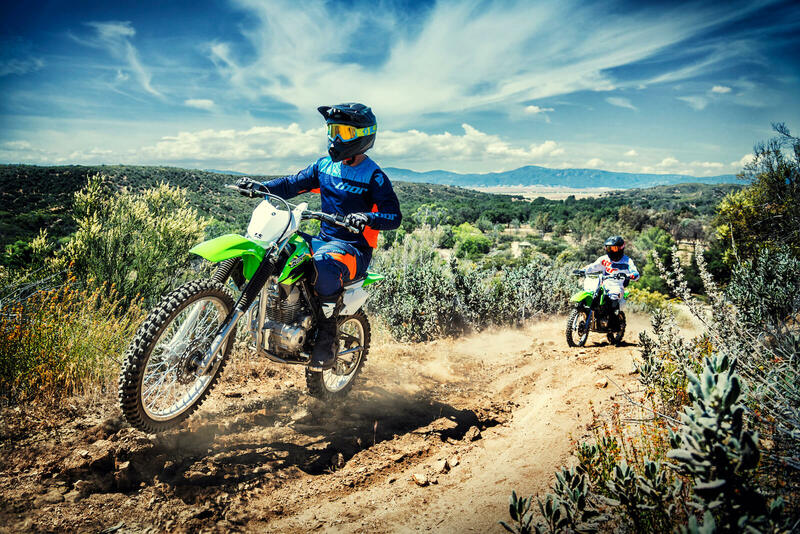 A full-size version of Kawasaki’s trail bikes for youth riders (KLX140/L), the new KLX140G offers adults and big youths the same brand of off-road fun. 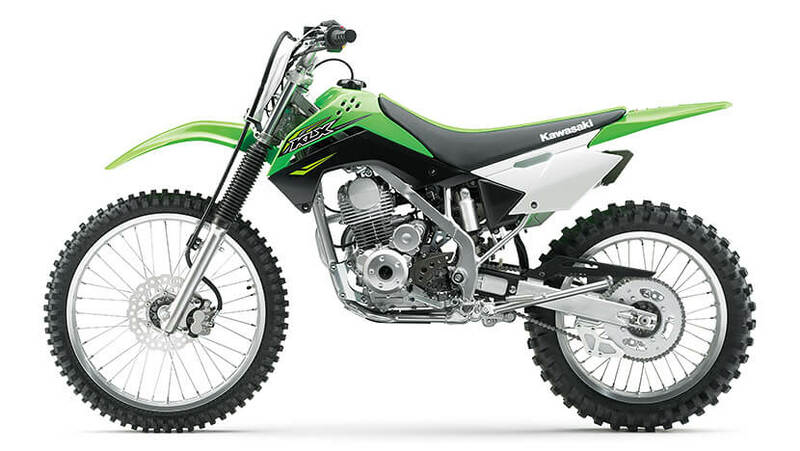 The lightweight chassis was designed specifically for the 150cc class and features many parts sourced directly from KX machines. 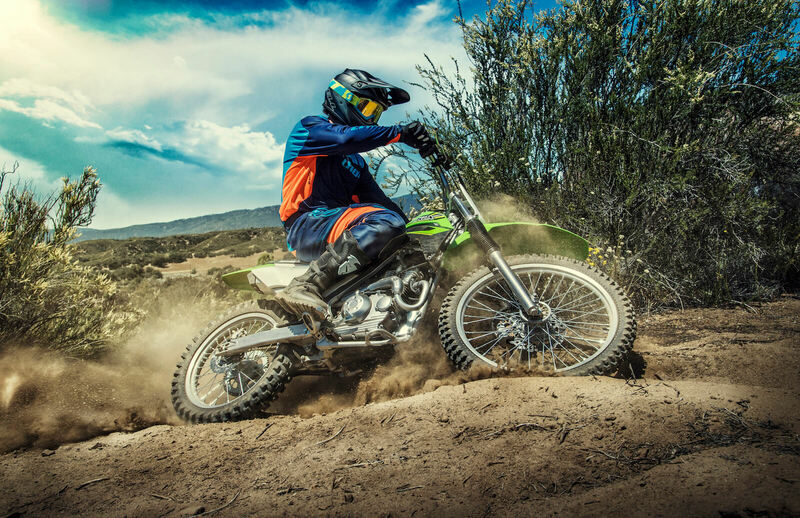 High attention to detail and top-shelf components contribute to durability and trail-riding performance. 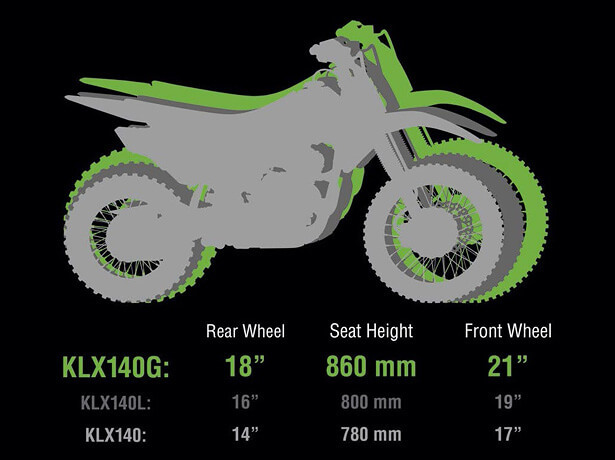 Large-diameter wheels, measuring 21” at the front and 18” at the rear, efficiently overcome obstacles encountered on off-road trails, greatly contributing to trail-riding performance. 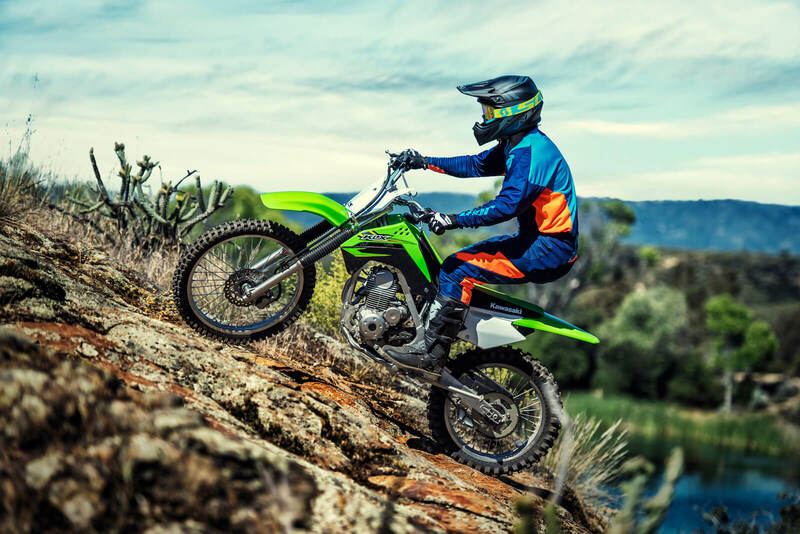 While many trail bikes feature a disc/drum combination, the KLX140G features disc brakes front and rear for strong, reliable braking performance. 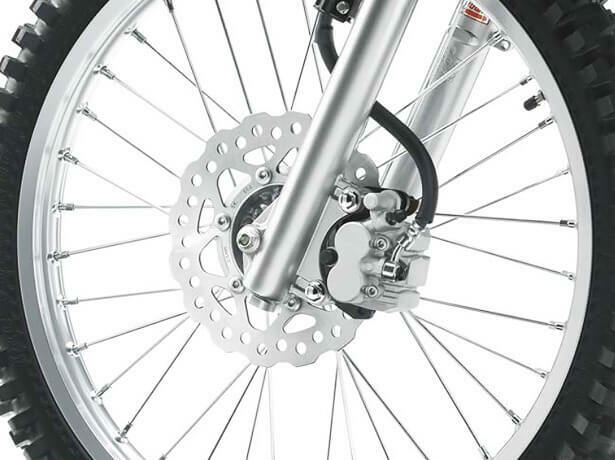 Unlike many trail bikes, which use drum rear brakes, the KLX140G’s rear wheel is slowed by a ø190 mm disc gripped by a ø27 mm single-piston caliper. 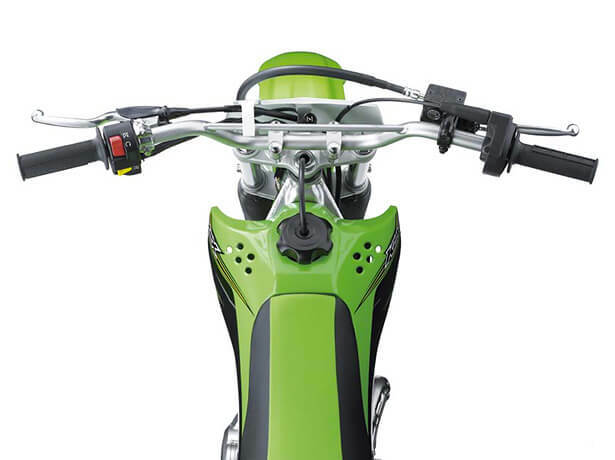 The rear brake master cylinder features a large, unitised reservoir that contributes to stable braking performance. 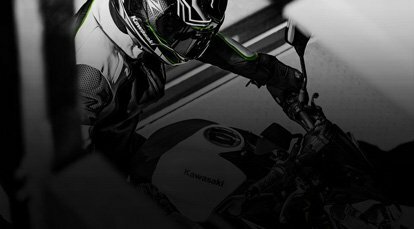 combination of form and function, the KX-style footpeg/frame relationship maximises leg grip, the flat surface of the frame’s box-section making it easy for riders to hold on the bike with their ankles. Long footpegs make it easier to keep feet on the pegs. 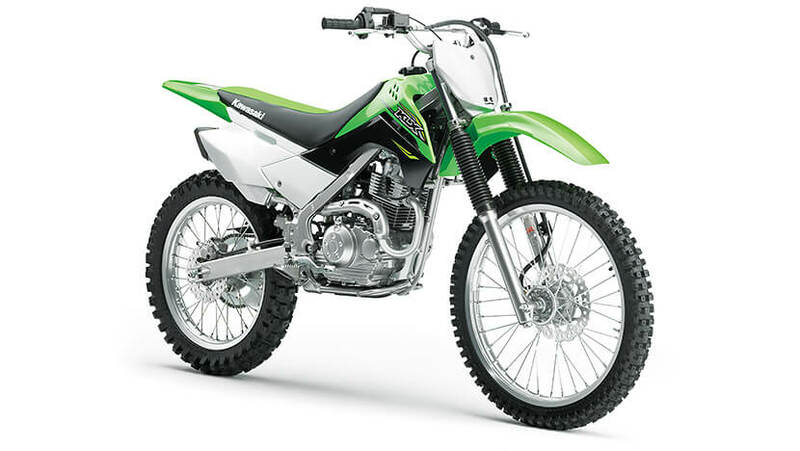 The footpegs are mounted as close to the bike’s centreline as possible to create a slim riding position. 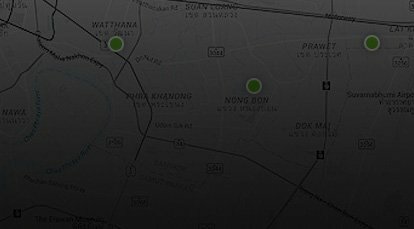 The absence of a kick-start lever allowed the ideal foot position for a high level of machine control.